Many of you heard we had a not-so-fun meeting with our adoption agency last week. I waited to write about it until the emotions had cooled off and I could approach the whole thing from a somewhat grownup perspective. It lasted two hours. The meeting objective was for the hubs and I to sit there while the agency director and adoption coordinator told us every reason they couldn’t stand working with us. The agency is very loosy-goosy and not worried about customer service. They admittedly focus their energy and attentions exclusively on the birth parents, and any communication, or request for communication, from the adoptive parents is perceived by the agency as taking away time from the birth parents. The hubs and I, for our part, feel that since we and other adoptive parents are the ones funding their company, that we are entitled to a reasonable amount of communication, which we aren’t receiving. Another reason I held off writing this post is I didn’t want it to be all about demonizing the adoption agency. The truth is, the owner isn’t a horrible person. She’s just not a business-minded person, and she runs the agency like a family, if the family values are that it’s okay to be flaky sometimes and everyone should just chill out, man. She’s the type of person who gets her feelings hurt extremely easily, and holds on to it for all it is worth. We learned at the meeting that a couple emails I wrote back in January and February “hurt her feelings.” (Not because I said anything mean, but because she thinks we don’t trust them. Spoiler alert: We don’t.) Not to be super calloused here, but the adoption agency owner’s feelings are not high at the top of my priority list. Of course I’m not trying to upset people, but I would say that was going to be unavoidable in this case. She’s what I call a “peach person.” We all know them–the person you have to speak ever so carefully around, even more so regarding sarcasm, for fear they will become easily bruised and offended. It’s exhausting to be in the company of peach people, and it is just my luck I chose an agency owned by one. The adoption coordinator. Another delicate flower with thin skin. We learned after signing on (paying lots of money) with this agency that our coordinator, the only domestic coordinator, was in her mid-20s. This is her first job out of college. She also placed her baby for adoption about two years ago. I will begin by saying, this is not a job for someone with little work/life experience. It requires someone that understands and respects the complex and emotionally draining road that infertile couples have traveled just to reach the adoption office, to say nothing of the trials after getting there. I think that’s well out of the reach of most 24 year olds. It certainly would have been for me at that age. The fact she herself is a birthmother only serves to drive home the point: that is the group she can relate to. It’s who she wants to talk to. It’s who she wants to help. And heaven knows birth mothers need a kind, compassionate resource they can rely on during an adoption. I suspect she does an excellent job of that. Unfortunately for the hubs and I, she’s an abysmal resource for adoptive parents and she doesn’t hide her resentment very well. And, she’s it! There is NO ONE ELSE. What do you do when there is no one to advocate for you? You advocate for yourself. And this is something both the hubs and I do well. In order to do this, our adoption agency needs to communicate with us. It was our reasonable requests for that communication that got us called up to the world’s most inconvenient meeting to be scolded like small children for two hours, for the heinous crime of being proactive. Their goal: to continue to work with us if we would stop bothering them. Trust them to do their job. Stop contacting them. The trouble is, we don’t trust them to do their job. I, Nancy Drew, was the one who discovered the first adoption match was a fraud. ME. By doing a five second Google search. During the meeting, we learned that they consider Googling an expectant mother’s name an invasion of privacy and they don’t do it. I asked them if they regretted having that particular policy in place after spending untold amounts of money on the adoption fraud couple. The adoption coordinator looked thoughtful. The agency owner looked proud. “No, I don’t,” she said. “I won’t ask our birth mothers to sign a release for the Google. It just scares people away if they think you don’t trust them. We still work with couples we suspect of fraud, anyway. In fact, we are still working with the couple you found out about. Because you never know, they may change their mind after all and place after the baby is born. And our focus is on that baby, all the way through the birth.” I think this was supposed to sound altruistic, but the truth is there is no shortage of agencies that would gladly find a placement for an infant, and collect the hefty finder’s fee in the process. Might I add, if someone admits to scamming you, good business sense would dictate you run far, and you run fast. Or, if you’re this agency, keep working with the couple that admitted they want all their expenses paid, please and thank you, even though they never had any intention of considering adoption. As you might expect, it was not reassuring to hear that our agency is still working with the couple that have actually admitted to the fraudulent behavior. The hubs and I were badly betrayed by the couple, but the agency is still working with them? Is it okay that we find that a bit strange? We also learned that adoption fraud is quite common in our agency due to the adamant refusal of “the Google” and that it is something to be expected during an adoption journey with the Adoption Agency. 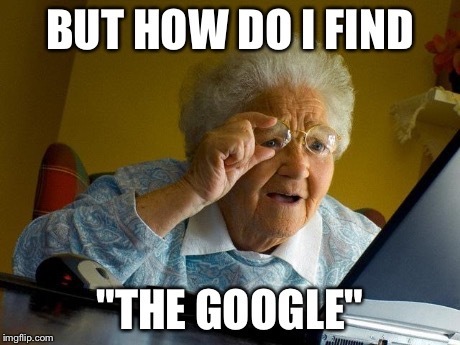 Did I mention I almost vaulted out of my seat when she mentioned “the Google?” A business owner, in the year 2015, believes she needs a signed consent form to Google a person’s name. I don’t even know where to begin describing how disturbed I am that this is someone’s reality, and now I’m an unwilling part of it. Near the end of the meeting, when it became clear that the hubs and I did not find our communication requests unreasonable, and when they could hide their utter disdain for us no longer, we reached an impasse. The owner badly wanted us to quit. She wanted it bad. She kept leading us to it and then trailing off…it reminded me of two high school kids trying to break up, but the instigator won’t pull the trigger. It was strange, and fit right nicely in with the overall theme of the meeting. According to their contract, they can fire us as clients at their leisure. She didn’t do that, either. I suspect it’s because that would look pretty bad for the agency. After all, who wants to sign on with an agency that has a reputation for firing their clients after they have paid a good chunk of money up front? Probably no one. And that’s when I realized they are basically stuck with us, regardless of their desire to fire us. As of this moment, I assume we are still represented by this agency. We haven’t heard anything to the contrary since our meeting that accomplished nothing. My hope is that other people may learn from this and have a better adoption experience than we have had. The process is hard enough by itself, and deeply emotional under the best of circumstances. Hire an agency that has a support person for the expectant mother, but also has a separate support system for the adoptive parents. You want your agency to work for you, not actively against you. Not all agencies are created equal, so make sure to do your research with a list of what is important to you within reach. Consider this a cautionary tale. We were with a small local agency and although we loved them, they simply were not placing infants. We had an approved home study and all supporting documents so we decided to go with an adoption consulting firm. They have been amazing. We had waited with our agency for 1.5 years. Had never been presented. Our failed adoption happened when a family friend referred us to a pregnant young lady. It was messy. With the adoption consultants, our family profile was shown 12 times in two weeks and we were selected within two weeks of starting with them! They are simply amazing Godly women that love adoption and their focus is the adoptive family (they work for you, advocate for you and work diligently to find the child God has for you). We have our son now and my husband and I would now not recommend going the agency route. This route was much less stressful. We worked with Faithful Adoption Consultants in Georgia. Hey, I just saw you on the FAC Facebook page and recognized your beautiful story from your blog! Congratulations to you! I was so excited for you following your journey on WP, and then I saw your son’s picture in their page and recognized his name. 😊 It’s so funny you mentioned them, I started doing a ton of research AGAIN and decided that was really who we needed to be working with. I’ve put in two emails and two phone calls but they must be very busy because I haven’t heard back. May I have your email to ask you a little more about your experience with them? BUT i was getting ready to mention FAC and saw the above post mention it to you. They are awesome, follow them on FB they only take a certain number of expectant parents, but when they have parent openings, then they usually put something on fb about it. They are so so so on the adoptive parents side, and so so so helpful even for the crazy sister/aunt who texted them sobbing asking advice because the bio-mom was putting ugly stuff on fb (i chose not to put that out there) but you know reality… any Courtney and company are fabulous!!! so i hope you get in touch with them and honestly if you have any questions you can send me a message (all mine go to a inbox before i publish) and i can talk to you if you want. We (my sister) was 3 plus years waiting spending crazy Money and crazy emotions. I will certainly look forward to hearing from you, and congratulations again on being a new auntie! IT was a long long long 3 year process, no help for us from the agency that was willing to take her $$ for 3 years. she also went with a lawyer and they took her $$ with out help, finally found FAC because of a parent of one of her students. but the heart break is real, the stress is real, and the anxiety is real! Truer words were never said! Got your email and deleted your comment so it doesn’t get spammed. 😁. Thank you, I will be in touch soon! I was looking that up today. I don’t know that there is a federally regulating body that oversees adoption. So far, it would appear there isn’t. There are websites that all non-profs have to report financials to, so you can see the financial health of the individual agency. But it is pretty limiting information. Also, are these adoption agencies regulated at all? Do they have to belong to any kind of official body? I would hope so. Perhaps taking it higher, or even just threatening to take it higher or expose them to the media or something might make them more willing to refund you? This sounds too terrible for words. If they hate you and you don’t trust them can they not just refund you and you go your separate ways? You’ve got it exactly, it really does defy description how suffocating this feels. Can’t move forward without program fee returned…can’t continue to work with them since they hate us and we have no level of trust. Your solution seems like common sense to me, but they disagree. I wish you luck. I really do. Don’t let pride prevent you from making the prudent decision. Maybe moving on from this obviously incompetent agency, will allow you to move quicker to your dreams of adding to your lovely family. Agreed! I hear you. And you’re right. Now I need to get my husband on board. It’s very hard for both of us, him more so, to just walk away from that much money. It’s terrible for me so it’s probably absolutely agonizing for him. Wow. There are barely any words to express how angry this makes me for you and the hubs. This seems to be more than bad practice; it’s malpractice. My question is why you are still even willing to work with them? What about another agency with a good reputation? I know that you are shelling out money, but I would worry that this agency is not going to steer any prospective birth mothers your way. I am just SO sorry you are having to deal with this. When it’s all over, I see a new reality show in the making! Yikes. I’ve been thinking about that tonight and we shouldn’t keep working with them. That seems clear. One problem is the money, of course. It’s a lot. But in the scheme of a lifetime maybe not such a big deal. I know for a fact they have blacklisted us because they did present two new situations to clients yesterday (I’m friends with one of the couples) but we didn’t receive them. Yeah, I don’t see how our adoption journey could get much worse!